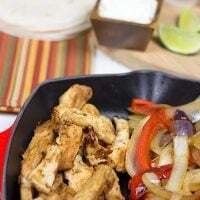 Copycat Chili's Chicken Fajitas - A Tasty Homemade Version! 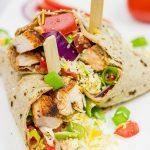 delicious Copycat Chili’s Chicken Fajitas! The key to these delicious Copycat Chili’s Chicken Fajitas is the marinade. The chicken marinates overnight, so you’ll have to plan ahead just a bit to make this recipe. 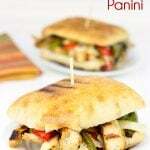 The result is a juicy, flavorful chicken breast that is the perfect base for the fajitas. Add the sauteed onions and bell peppers, and you’ve got a fun meal that is perfect for this time of the year. (Although to be honest, this is one of our staple recipes, and we make it pretty much year-round in our house!) We used to make 1/2 chicken and 1/2 beef fajitas using flank steak, but we realized that we both like the chicken version better. But feel free to use a thin cut of steak (like flank or skirt) and make a chicken + steak duo. (Use the same overnight marinade for both the chicken and steak.) Enjoy! 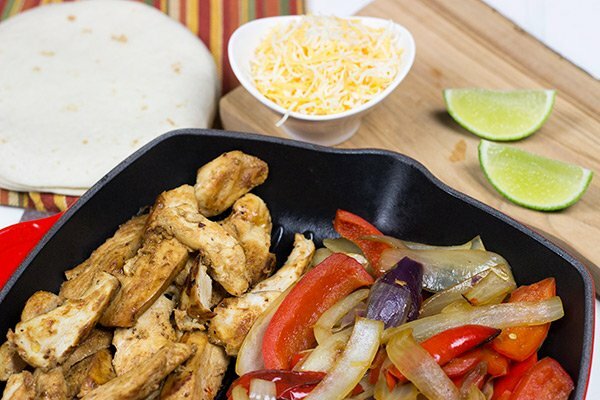 Did you make these Copycat Chili’s Chicken Fajitas at home? Leave a comment. Or snap a photo and tag me on Instagram (@Spicedblog). Enjoy! Chili's...babyback fajitas! Wait, fajitas? 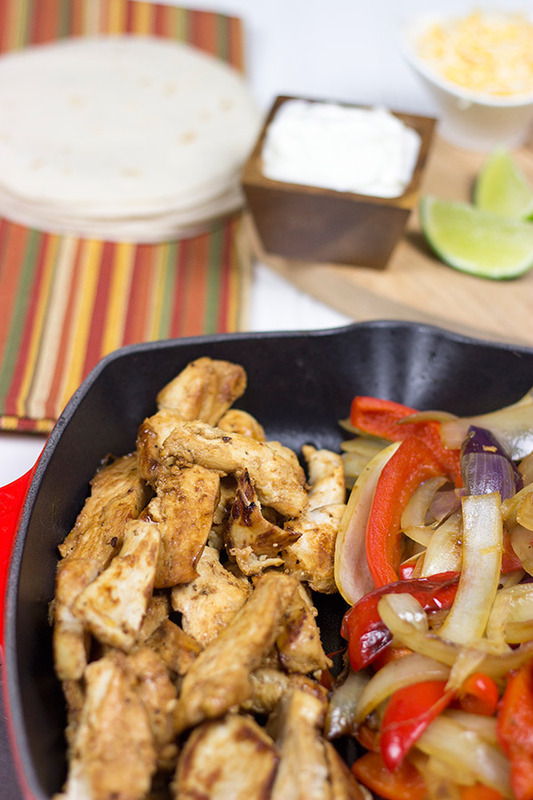 Yup, these Copycat Chili's Chicken Fajitas taste just like the fajitas at Chili's. This is one of our all-time favorite recipes! In a small bowl, combine all of the Chicken Marinade ingredients; whisk together until fully combined. Use a fork to pierce each chicken breast in several places and then place the chicken breasts in a medium-sized glass baking dish. Add Chicken Marinade to the baking dish; cover and refrigerate overnight. Place a large cast iron skillet over medium-high heat. Once skillet is hot, add olive oil and peppers. Sauté for 6-7 minutes, and then add the onions. Continue sautéing for 15-20 more minutes or until onions and peppers soft, stirring occasionally. Meanwhile, place another skillet or fry pan over medium-high heat. Place marinated chicken breasts in pan and cook until done (~15-18 minutes), flipping after 10 minutes. In a small bowl, whisk together all of the ingredients for the Vegetable Finishing Sauce. When the peppers and onions are almost done, reduce heat to medium low, add the Vegetable Finishing Sauce and simmer for 2-3 more minutes. Once chicken breasts are cooked, transfer them to cutting board and slice thinly. Cindy! You totally need to make a batch of these fajitas them. The over-night marinade requires a bit of forethought, but it’s totally worth it. Now I want another batch of these fajitas…haha!! Chili’s DOES have THE BEST fajitas! And if these are a copycat version – you have hit gold, my friend! 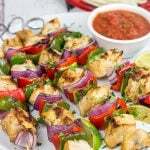 Thanks for sharing this recipe – I am gonna have to duplicate that marinade stat!! This recipe is pretty darned close to the real deal, Shashi. Trust me…I’ve eaten enough Chili’s fajitas in my time!! I love fajitas. My mom has made them out of this “365 Chicken Recipes” book since I was a little kid and that has always and will always be my fave. Not that it’s anything outrageously special or anything, it’s just nostalgic I guess. But your’s are looking pretty darn tasty themselves. Going to have to give this marinade a try! Fo sheezee, Chris! This marinade is seriously delicious…it’s one of my go-to chicken marinades (even when I’m not making fajitas). I’m also going to need a batch of your mom’s fajitas. ASAP. I need to come to your house for cinco de mayo 🙂 These fajitas look amazing. Love the tidbit about the marinade… must plan ahead! Just in time for Cinco! See, I’ve actually never had these fajitas from Chili’s, but I’ve been known to throw down on some sizzling fajitas elsewhere. 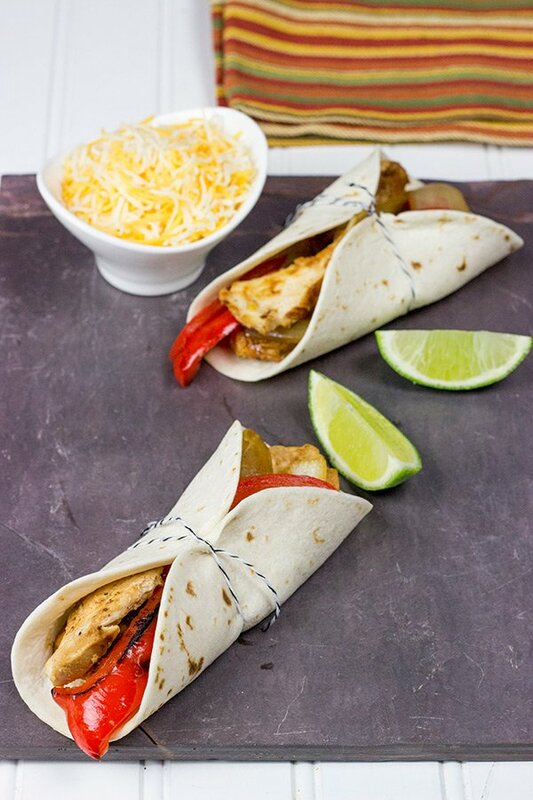 Love love love chicken fajitas and these look awesome! Mmmm, I love fajitas! Remind me not to read your blog when I am hungry David, because now I am going to be craving fajitas until I make these. Haha! I love fajitas, too, Katie! I say get in the kitchen and make a round today…I might have to do the same soon!! Ok man, you’re making me craving fajitas, big time…and it’s only 9:30am. I would love to have one of those bad boys for lunch later today! Who says you can’t have fajitas at 9:30am? I won’t tell if you won’t! I tried these without letting them sit in the marinade overnight, and another night with ren sitting in the marinade. I gotta say, I didn’t notice a different in the taste. They were great both ways! Does Chili’s really marinate their chicken over night? This was a great recipe. I was able to marinade for 2 hours after work and the flavor was still really good. I cooked the chicken separate in an iron skillet then did vegetables after removing chicken. Added a tablespoon of butter before the vegetables and the sear was great -The finishing sauce makes them taste just like Chili’s . Great recipe will make it the standard in our house. Hey Shelly! Good to hear that this recipe still turned out well even with the 2 hours marinating time. It sometimes is a pain to think a day ahead on the marinating…but then again, it means you get to drool about dinner all day while it’s marinating! 🙂 This recipe is one of our go-to recipes around here, and we often use this when entertaining friends and family. We just make a big batch of chicken and veggies and then put out all sorts of taco toppings. Then everyone makes their own tacos. In fact, we have plans to make these next weekend again! So glad you enjoyed these, and I really appreciate you swinging back by to comment!